The forum, moderated by the League of Women Voters, gave residents a chance to ask the candidates questions regarding not only students and parents but the taxpayers as well. There are six candidates up for three, three-year terms. Incumbents Bob Abbott, Dr. Karen Garrison and Candice Zachowski are running for re-election, while Paul Esposito, Renee Pollard and Cecilia “Ann” Volk are challengers. Abbott, Esposito, Garrison, Pollard and Zachowski were present at the forum. Volk was not. Abbott, the current vice president of the board, has been on the board for the past six years. He is currently the vice president of the Gloucester County School Boards Association. He is a certified board leader. 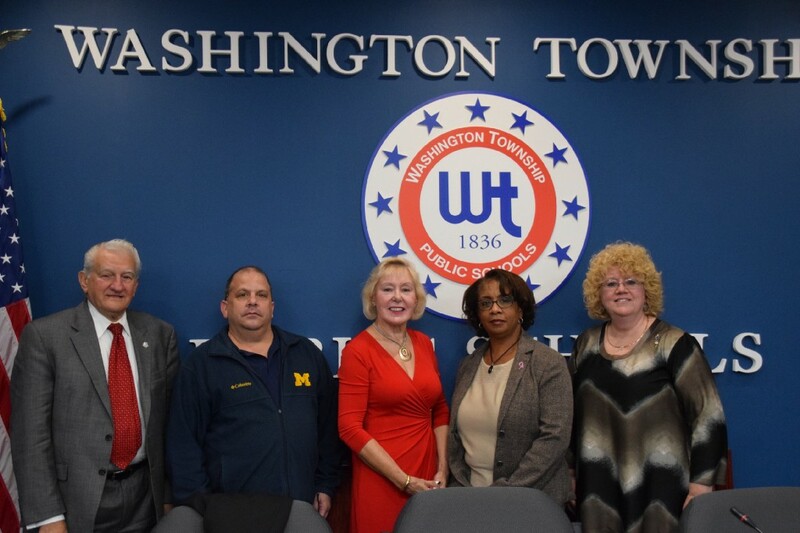 Esposito has been a resident of Washington Township for more than 40-years, he is a product of the Washington Township school system and has past experience on boards within the township. Garrison, a retired educator and four-year member of the board, has more than 34 years of teaching experience, 22 of which took place in Washington Township. She has more than 60 credits in board-related workshops making her a certified board member. Pollard has worked in education for 23 years while living in Washington Township for 22. She said her former experience as a trustee, shop steward and diversity ambassador allows her to be a good negotiator. Zachowski and her husband moved to Washington Township in 1986 specifically for the school system. She is a retired educator with 31 years of experience, who has served on the board for the past six years. She has the credits in place to take the test to become a certified board leader. One of the questions raised to the candidates was about the time commitment it takes to be on the board. To supplement the question to the newcomers, the question was tailored to ask what they are involved with. “I’m retired so I have the time to spend. I spend at least 7 days or nights a month on board business. The most has been 15. I’ve visited every district in Gloucester County. It takes time and training, there’s so much going on with a $150 million budget. It takes a lot of time, I’m constantly busy. I’ll continue to do so, I like it,” Abbott said. “The board is time consuming. I’ve been on numerous committees: student activities, calendar committee, negotiations and instructional affairs. I’m out seven to 10 nights a month easily and anywhere from 500 to 1,000 hours a year at meetings or preparing for meetings,” Garrison said. “When I first came on board I thought I knew how much time it would take and how much time I’d have to dedicate. Lucky for me, Bob and Karen, I’m a retired educator as well. You need that kind of time. I’ve served on every committee except negotiations and personnel — I’m conflicted, I have a son who works at the high school and a son-in-law who’s a supervisor of fine and performing arts,” Zachowski said. “I’ve been involved on many different boards in this town, so I know the time it takes to get things done and work together. With a school board, there are so many responsibilities — it’s about getting the right people together to agree and work together,” Esposito said. “I am part of the Birches West Community Alliance organization. We’ve been together for a few years now. I’m a part of other boards, just not in Washington Township,” Pollard said. “One of the best ways to do it is working with our current anti-bullying program. We’re trying to create a respectful community. The other thing is to have clubs and orgs to help everyone understand and work together. I feel that we are well on our way to helping diversity and understanding different cultures,” Garrison said. 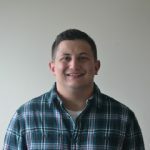 “As a former diversity ambassador, and working with student life activities, I think those students bring a lot to the table. When you have all cultures working together, that makes things come together a little bit more. It gives you an opportunity to see how others live and that’s the goal as what diversity really is,” Pollard said. “We have three classes that work on diversity, and the students are taking classes at the high school. We have ‘no-place for hate’ and mindfulness training that is now starting its way through. Hoping that brings us to a brighter future,” Zachowski said. “Diversity starts with you, the student. If you get along with whatever population happens to be in the school, you’re the ones creating it. I served in the Army, I didn’t care who was with me. They had my back, I had theirs. It didn’t make any difference what their race, religion, color, creed anything was — it was only the importance of what they were doing. If it starts with you, we can solve the problem,” Abbott said. “Very important issue. Like Bob said, it’s up to you to work together and get along. I think no kid should feel that they have no one to go to, no one to talk to. Everyone should be able to have a say and get along. Diversity is unbelievably important to me.” Esposito said. The candidates fielded other questions involving school safety, consolidating districts, spiritual rituals, among other things. The video in its entirety will be available on WT-TV Channel 9/36 in the weeks leading up to the Nov. 6 election.